In conjunction with the annual Congress of the Canadian Federation for the Humanities and Social Sciences, the Canadian Association for Commonwealth Literature and Language Studies (CACLALS) will host its annual conference May 26 to 28, 2012, at Wilfrid Laurier University/The University of Waterloo in Waterloo, Ontario, on the traditional territory of the Six Nations. A day/sessions devoted to pedagogical issues is/are planned for this year’s conference. The theme of the CACLALS 2012 conference, “Crossroads: Scholarship and Teaching for an Uncertain World,” has both temporal and spatial dimensions. It invites us to consider how our scholarship and teaching are connected to the uncertain world in which we live, but we might begin by asking if a “presentist” bias shadows the theme; is our world any more uncertain now than it has ever been, and if so, for whom and why? How might our scholarship and teaching address this bias if indeed it does exist? Is our field of study, already substantially reconfigured from a framing as Commonwealth Literary Studies to Postcolonial/Decolonizing Literary and Cultural Studies or World Literatures in English, at a crossroads again as the pressures of globalization and transnational movements and identities urge us to focus in different ways? Are these pressures affecting curricula, doctoral admission, examination, and thesis work, funding applications, scholarly publication, or hiring? Are these pressures changing the ways in which we teach, and prompting more scholarly activity in cultural studies and less attention to literary texts? What role(s) might CACLALS play in supporting members’ pedagogical roles? How do notions of the cosmopolitan and the vernacular, and the fierce assaults of territorial displacements and appropriation, homelessness, hunger, HIV/AIDS, xenophobia, homophobia, ecological degradation, terrorism, and high-level corporate fraud inform our thinking at the current crossroads? Are we taking due account of the pressures of the “grey tsunami” (an ageist formulation?) that we are told threatens to sink state provision of healthcare in at least some parts of the world? CACLALS welcomes conference presentation or workshop proposals that address dimensions of any of the questions or issues above or that are otherwise related to the association’s mandate. We welcome equally traditional papers designed to be delivered in not more than 20 minutes, member-organized panels in which 3-5 members deliver 5-minute position statements related to a single issue or text and then open up discussion to the audience. By 15 December, 2011, proposals of not more than 350 words should be submitted via caclals.ca on the proposal form found under CFPs and Conferences, CACLALS, CACLALS at Congress 2012. They will be double blind-vetted. Please note that only proposals from paid-up members will be considered. The automated membership system created by the Canadian Federation for the Humanities and Social Sciences is now available on the new website caclals.ca, and we encourage everyone to use this system when renewing membership in CACLALS or joining for the first time. However membership inquiries can still be directed to kristina.fagan@usask.ca. This year’s lead judge is Chelva Kanaganayakam, Director, Centre for South Asian Studies at the University of Toronto, and the judges’ panel will be rounded out by executive members Jill Didur and Susan Gingell. Thanks to HarperCollins, among the prizes will be copies of Emma Donoghue’s Room, the Commonwealth Writers Prize winner 2011 for Canada and the Caribbean. Graduate students wishing to be eligible for the prizes must check the “Grad Prize Submission” box on the proposal form at cacalals.ca if they wish their proposal to be considered for the prize. They are welcome to submit proposals without entering the competition. This roundtable discussion arises from the necessity for literary scholars to reflect upon the significant and subtle shifts away from post-colonial thinking towards concepts such as globalization, transnationalism, and diaspora, particularly as they are used in literary analysis or, more broadly, in cultural studies. 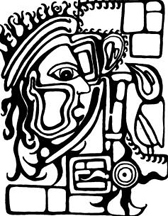 Complex and diverse positions have been assumed from within each and along the continuum of these traditions, and so this roundtable calls for the creation of context, debate and evaluation for what must be retained and/or revised in the future studies of literatures impacted by legacies of colonialism, imperialism and globalization. • The ethics of such paradigm shifts: how do we teach and/or research post-colonialism, transnationalism, and globalization in literary studies? We are looking to have 5-7 panelists (three invited and 2-4 self-identified) on this roundtable. Each panelist will provide a 5 minute reflection related to the roundtable topics and then participate in a 15 minute call and response session amongst one another before entering discussion with the audience. Please send a 150-200 word proposal and a 50 word bio to Melissa Stephens (mrs10@ualberta.ca), Libe García Zarranz (garcazar@ualberta.ca), and L. Camille van der Marel (lvanderm@ualberta.ca) by December 15, 2011 if you wish to be considered for this roundtable. Proposers must be paid-up members of CACLALS. The 11th annual Aboriginal Roundtable willl be organized by Michele Lacombe of Trent University, and will focus on Indigenous languages in, and in relation to, Indigenous literatures. Among the workshops will be “Digital Interactive Environments and New Curriculum for Schools” (Leslie Sanders, Mark Campbell, and Kay Li).